Meanwhile, closer to home, Morton’s long-suffering wife Sarah comes to the conclusion that her man has been doing more than work during his late nights at the office. As he closes in on the mystery of the boy’s identity his life begins to crumble and a terrible wrong is done to someone he loves. It had been a while since I’d read a crime suspense novel, so when I saw this one available on Rosie’s site for review, the cover caught my eye and I knew I’d found my book. This story kept my attention from the first page. I liked David Morton and was immediately caught up in the case, reading into the early morning hours because I had to know who the young boy was. This novel wasn’t bogged down with a lot of procedural and technical jargon, but instead gave the reader just enough to understand what was going on, and for that I was thankful. I have to admit, the storyline with the stolen identity had me puzzled. Just when I thought I’d figured out who was behind it – I was wrong. This book was well-paced and full of action, the writing solid, and the story believable. Although I found most of the characters to be realistic, I was disappointed at how David’s wife, Sarah, and his second-in-command, Tina, were portrayed. Initially, Sarah seemed to be the stereotypical, long-suffering wife of a cop, familiar with late hours and mood swings, but then her whole personality seemed to change as she jumped to conclusions and became irrational about a situation. I also had a hard time believing that Tina, in her early 30’s and evidently career-oriented, considering her position in the department, would be making passes at her boss so frequently. I didn’t read the first novel in this series, but this book is easily a stand-alone and I’m glad I read it. If you enjoy crime thrillers that keep you guessing, this is a good book to add to your list. Hi Teri, really great to hear you enjoyed this book, when I read it I didn’t guess who had “dunnit” correctly at all. Thanks for this review. You’re welcome, Rosie! That’s the fun of reading books like this – you think you know who did it, you’re wrong, then have to rethink everything. It keeps you guessing. 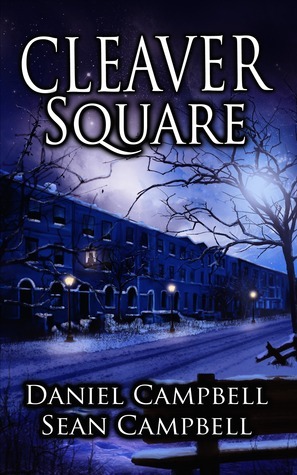 Cleaver Square is indeed a very enjoyable read. Dead on Demand is already on my TBR list. I didn’t realize Cleaver Square was the second book in the series until after I’d finished it. Will also add Dead on Demand to my list.